Capital Singers is South Africa's best kept secret for the whole family. Capital Singers in a proud association with Groot FM 90.5. 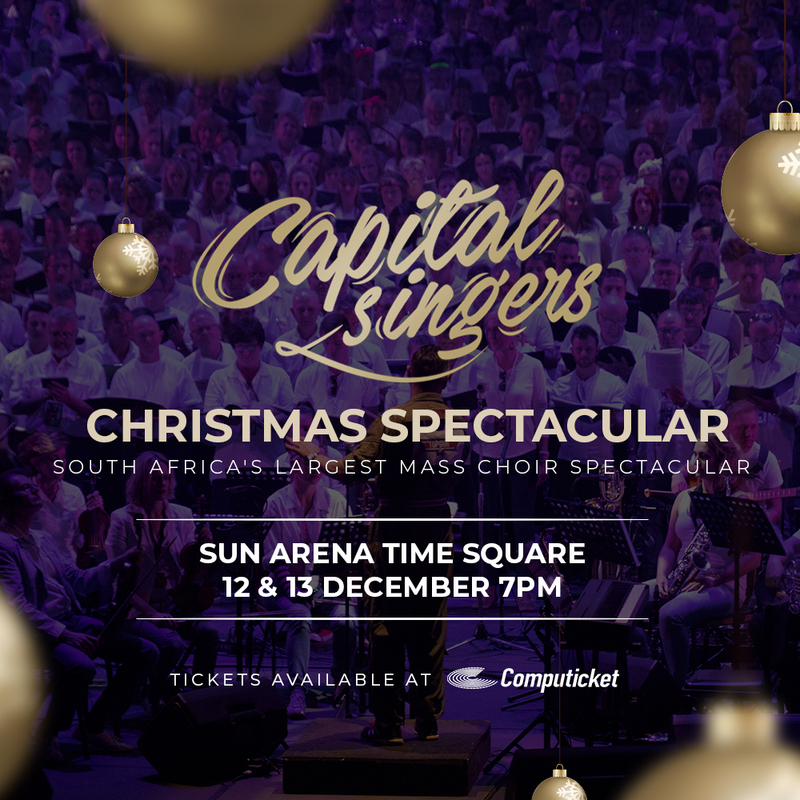 Experience those precious goosebump-moments when you are a part of South Africa’s largest choir spectacular, The Capital Singers. 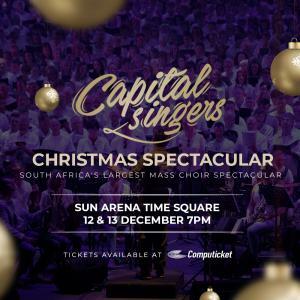 The massive 1000 voices of the choir will be joined by SA’s leading vocalists Joshua na die Reën, Brandon October and Magdalene Minnaar accompanied by the best instrumentalists to thrill the audiences in their 13th sell-out production of “Capital Singers: a Christmas Spectacular at Sun Arena Time Square". A fun filled family friendly production taking both choir and audience on an exciting trip down memory lane with the most beautiful Christmas themed music arranged for band and choir by Musical Director, Janine Neethling and conducted by Christo Burger and Michael Barrett. With stage directing by Ian von Memerty, it is bound to be a Christmas Spectacular like none other. After enrolment, our team then correspond with you via email. Note: Your music will only be available 6 weeks prior to the actual event, which will be more than enough time for you to learn the music in the comfort of your own home.